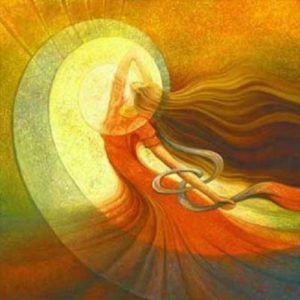 This class explores feminine spirituality and forms a circle of sisterhood. Until we get to know and understand ourselves so deeply and completely, we can hardly expect others to understand us. By each of us doing this inner work that teaches us how to express ourselves more clearly, articulately and intelligently, we are contributing to the evolution of humanity. The feminine energy is rising. As people listen to their intuition, trust their inner call to speak truth and unsuppress, the feminine is demonstrating her power. The feminine is a quality of energy that lives in both men and women. When there is shame for having feminine qualities such as emotions, it can result in dishonorable actions or acting out in ways that eventually result in embarrassment or shameful feelings. It can hurt to feel like a part of your being is not ok. And that’s not your fault; it is how society sees the feminine – as not ok.